Five inches long. Top and back of head and throat black. Sides of head and neck white. Breast and underside white to buff. Gray back. Wing feathers and tail a darker gray, lined with white. Inhabits forests, deserts, groves, and other wooded areas including farms, towns and cities throughout most of Canada and southern Alaska, the northern two thirds of the U.S., in the Alleghenies as far as South Carolina and in the West as far south as northern Arizona and New Mexico. Builds nests of fine grass, feathers and hair usually in abandoned or natural cavities or excavates its own in older trees from very low up to 15 feet. Black-capped chickadees are one of the more easily attracted birds to the right birdhouse attached to a tree trunk or hanging from a limb. Lays six to eight white eggs which hatch after about two weeks incubation and young leave the nest after about another two or three weeks. 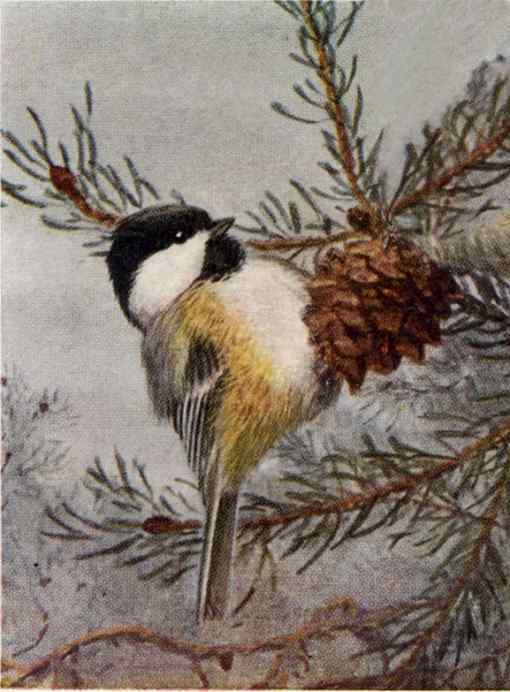 Hopping about trees and underbrush, they forage in scattered, chattering flocks with nuthatches and titmice for insects, their eggs and larvae under leaves or in the crevices of bark and for a variety of wild fruit and seeds. At feeders they like thistle and other small seeds, unsalted nuts and sunflower seeds, berries and suet. They like to hang upside down from twigs and feeders. They sing high pitched simple melodies. 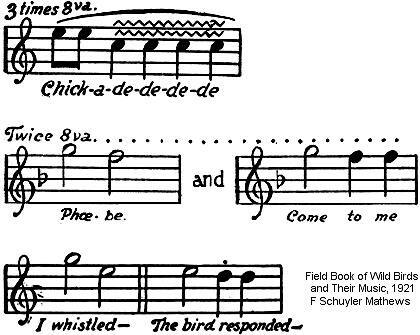 Whistle to the inquisitive chickadee and it likely will sing back. With a little patience, you might even entice one to take a seed or a raisin from your hand. The Black-capped-Chickadee Birdhouse (same as for Nuthatches, Titmice, Downy Woodpeckers and other Chickadees) has a 4″ by 4″ floor, 9″ inside ceiling, 1 1/4″ diameter entrance hole located 7″ above the floor and ventilation openings. Assemble with corrosion resistant screws fit to pre-drilled countersunk pilot holes. Hinged roof is secured with shutter hooks for easy access. Mount nest box on a tree trunk or hang from a limb from chest level to just out of reach, higher if it attracts attention. Put a few chips, not sawdust, on the nest box floor. Remove the nest after the brood rearing seasons are over. 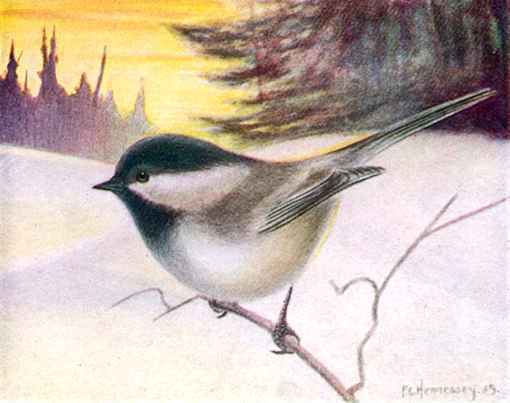 Black-capped Chickadees are year around residents and might take advantage of northern winter warming roosts.